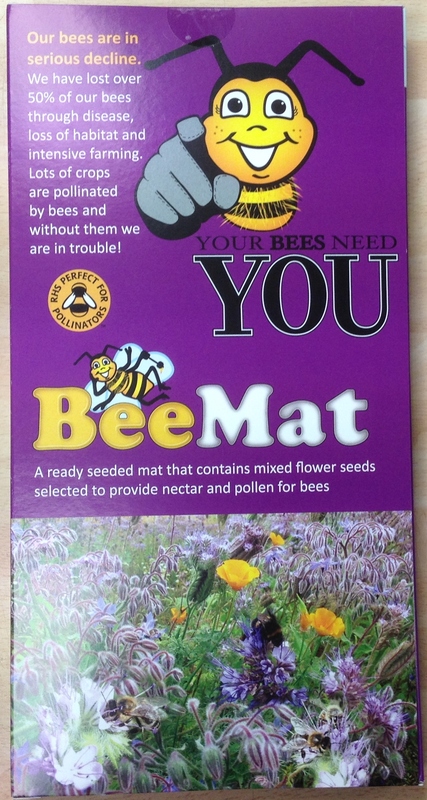 BeeMat the easy way of providing flowers bees need and love and BirdMat the easy way of providing natural feed to attract birds to you garden have been launched at Angell Pets. 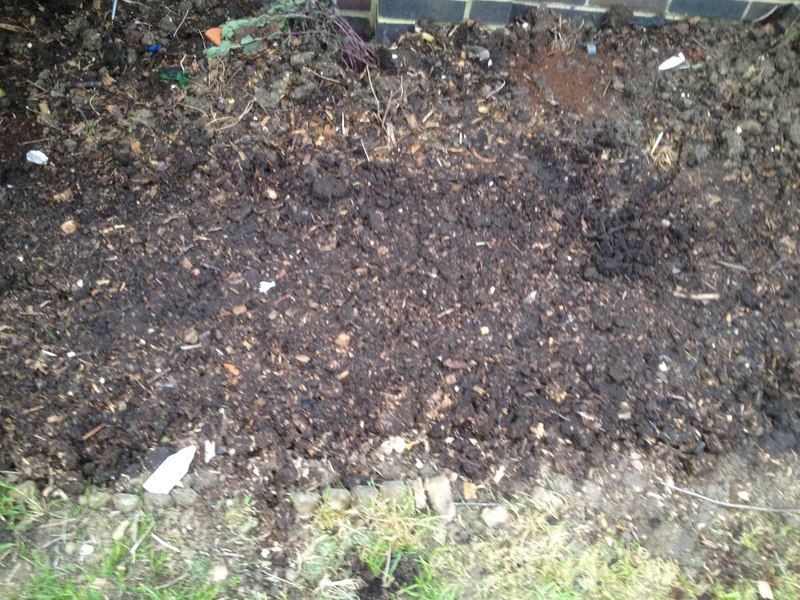 Sowing normal wildflower seedsinto a prepared bed actually produces a quite low gemination rate (20-30%). Using the BeeMat and BirdMat unique system of biodegradeable membranes and commercial horticulture grade seed produces germination rates of around 85% – much higher, giving a lot more growth, resulting in more flowers for the bees. BeeMat comes in a handy (easilly postable!) pack of a 2 metre long, 50cm wide strip. This can be cut to any size to fit pots or planted in a strip on prepared ground. The top layer of the BeeMat strip is a weak paper that enable water and light to pass through and the seedlings to break through when germinated. The bottom layer is a patented membrane that prevents the red light necessary for seed germination from passing through thus inhibiting the germination of unwanted annual weeds already in the soil. 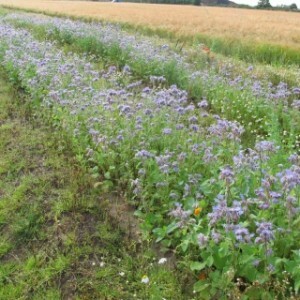 This aids the growth of the BeeMat plants by preventing competition from invasive weeds. 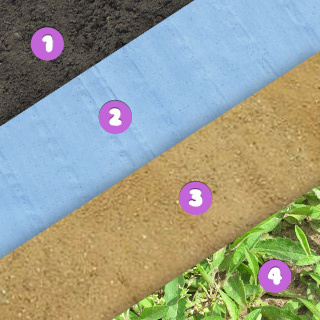 Putting a layer of soil over the BeeMat wieghts it down and prevents perennial weeds from lifting the mat and also inhibititting their growth. 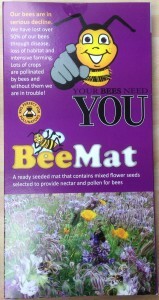 BirdMat is a new companion product to BeeMat. 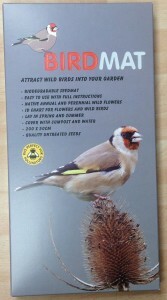 Using the same technology but different seeds BirdMat provides seed heads to encourage birds into your garden. BirdMat works in exactly the same way producing the same excellent reults in terms of germination and growth and can be cut to size in the same way or planted in strips. 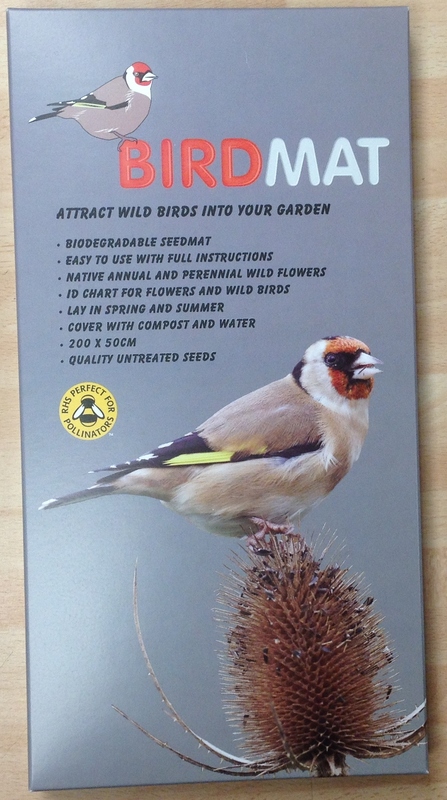 BirdMat also comes in a handy, postable pack making both BirdMat and BeeMat ideal gift items for birthdays, mothers day and due to the long shelf life of the seeds (much longer than packet seeds), Christmas as well. 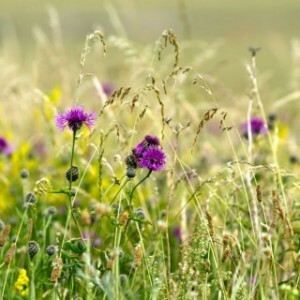 So get out the wellies and start preparing the ground for you BeeMat and BirdMat (and coming soon ButterflyMat) and have a summer full of the smells, sights and sounds of a wildlife friendly garden which benefits you and much needed habitat and food that benefits the bees and the birds. You can purchase BeeMt and BirMat instore or online in Angell Pets webstore.